There you go tonight’s dinner was the third day in a row we ate the roast duck we had a couple of nights ago. 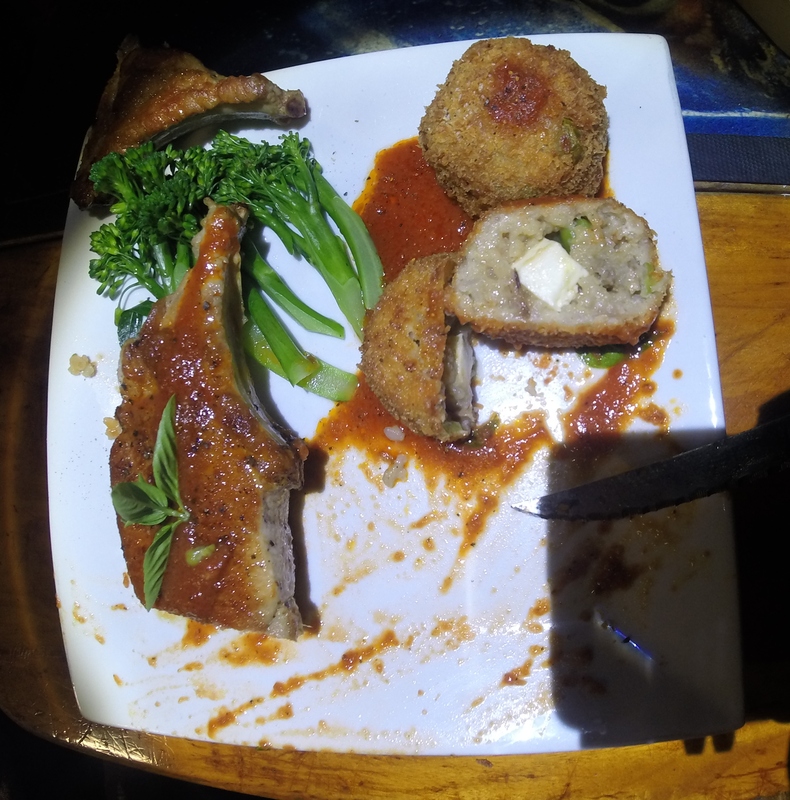 I used the left over risotto to make Arancini. 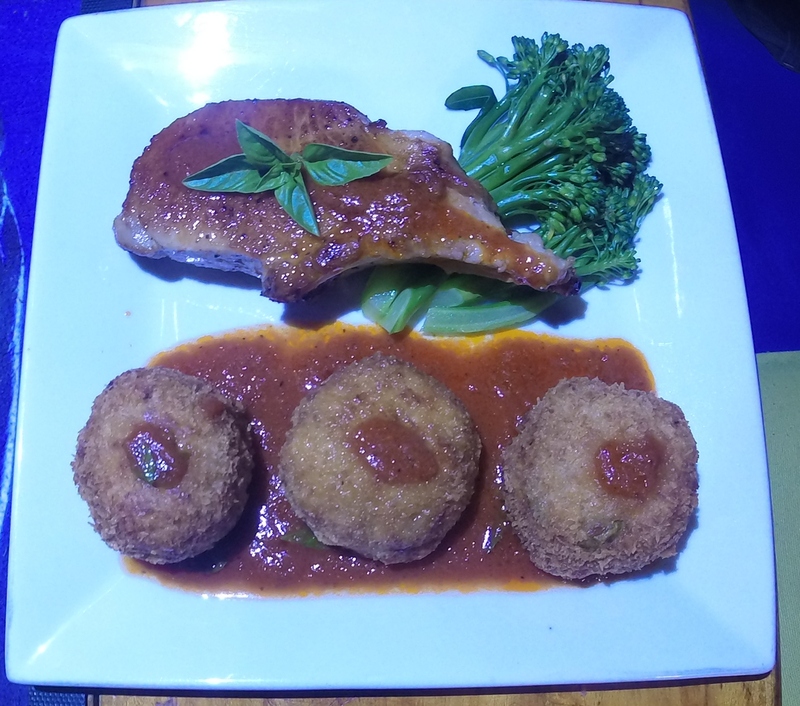 Balls of risotto with a cube of mozerella inside and then crumbed and fried…yum! 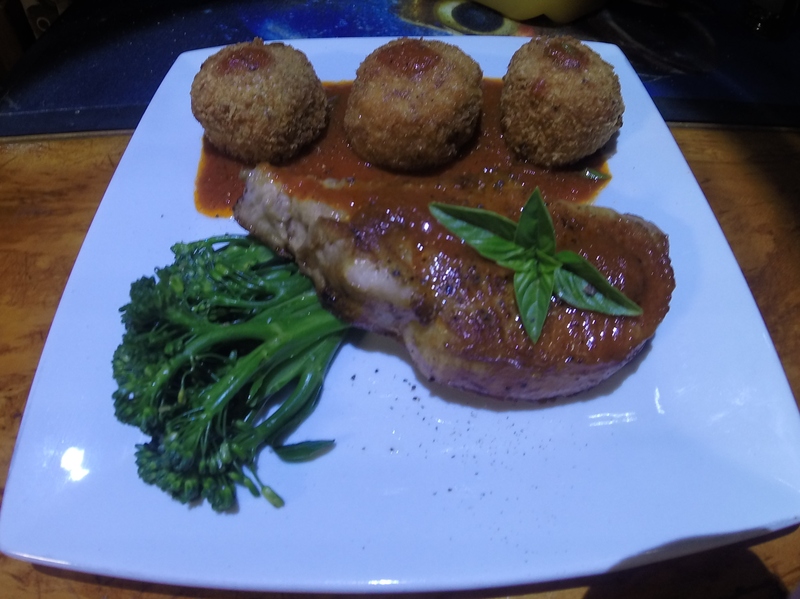 I matched them with a nice pork loin chop and made a spicy Napoli sauce for the arancini to sit in and threw in some steamed broccolini.